This entry was posted in Conservation, Guest blogs, Marine Science, Shark Science and tagged Blue Planet, Blue Planet 2, Nature, sharks, Tiger Shark, wildlife photography on March 15, 2018 by fishthinkers. This entry was posted in Conservation, Ecology, Fisheries, Fishing, Guest blogs, Uncategorized and tagged abortion, biological conservation, electric ray, Fisheries, Fishing, fishing impacts, marine science, parturition, sharks, sharkscience, stingray on December 8, 2017 by fishthinkers. The global tracking map: your key to discovering how the marine world moves. 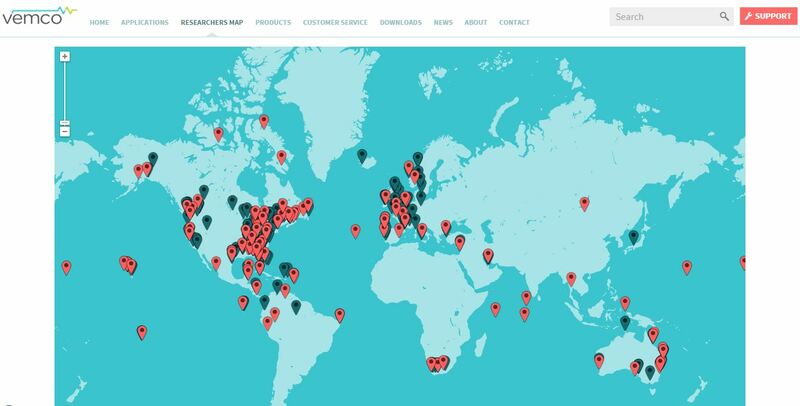 VEMCOs researchers map: ‘Help us help you collaborate with the best researchers in the world and let us “Put You on the Map”! Red pins represent studies using VEMCO products, the dark pins represent institutes’. This entry was posted in Marine Science and tagged Acoustic tracking, Al Shaheen, animal behaviour, animal movement, Arabian sea, cage dive, conservation science, ecotourism, fish biology, fish movement, Fishing, Hawaii, manta ray, Marine Research, marine science, Persian gulf, Qatar, Seychelles, sharks, VEMCO, whalesharks on May 7, 2015 by Lachlan Fetterplace. Fish Thinkers Research Group Youtube channel now online! Follow the link below to watch our first youtube video! Make sure to watch in HD. It’s a short edit of my trip to Lord Howe Island to survey the marine parks fish populations using baited remote underwater video systems. More videos coming soon so stay tuned! This entry was posted in Marine Science and tagged fish ecology, Fish Thinkers, Fish Thinkers Research Group, Recfishing Research, sharks on July 18, 2014 by Matt Rees.